My little cousin turned eleven this year. I’ll admit, it took me a while to accept the fact that it’s been almost eleven years since I walked her around the yard to keep her from screaming. Once I came to grips with the my own mortality and the fact that I’m becoming that person who remembers her when she was itty bitty and will tell that to all of her future boyfriends, it occurred to me that eleven is the perfect age for reading. When I was eleven I had just entered the wonderful world of books and stories and was getting wonderfully lost in every new universe I could get my hands on. I discovered Gail Carson Levine and absorbed anything by her I could find. I read through the Harry Potter series over half a year or so in fifth grade. For the first time I reached the pizza party score in accelerated reader. You had to get 100 AR points to get to go to the pizza party at the end of the year. I was super pumped when I hit 100 just in time. I understand that my little cousin is not me. I am well aware that she is her own person and her interests are different from mine. However, sometimes it just takes finding the right book to spark that love of reading and I figure, it can’t hurt to throw as many books at her as possible. I’ve been compiling a list of books in my head that I want to get her. I’m going to have some intense trips to Half-Priced Books in my future. Here are a few on that list. Of course I need to get her Anne. Admittedly, I didn’t actually read Anne until college, but I feel it’s good to put her on my friends as early as possible. 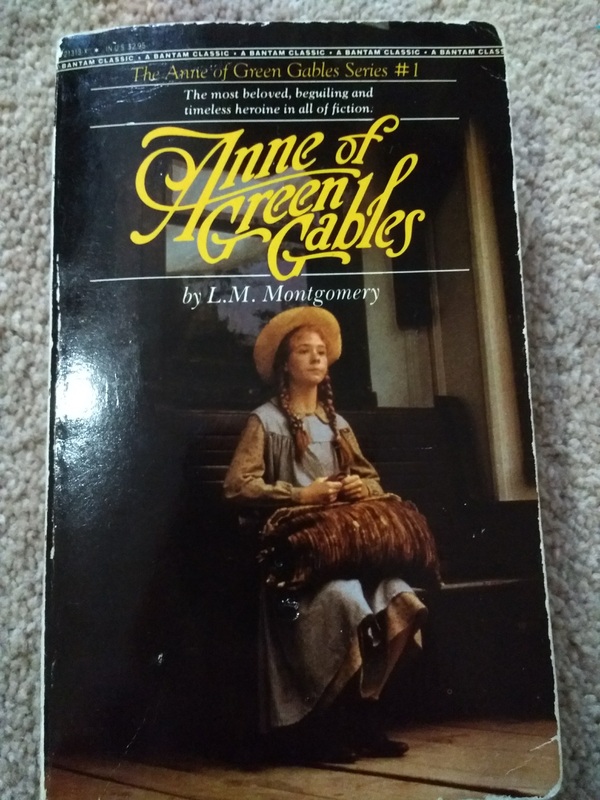 I’m not sure I knew Anne of Green Gables was a book series until I was a little older, or that we had it in the house, or I might have tried it out sooner. Anne is a perfect growing up story full of little adventures that I feel every young girl can relate to. It might be a little weird to read for someone who’s not used to older writing styles, but I definitely think it’s worth exposing her to. The great thing about the Anne story is that it grows with the reader. We see Anne through her childhood, her adolescence, her college years, her post college years and well into her marriage. There’s always a book that will match up with your time of life and it’s lovely. I’m not sure if I could get my little cousins to sit through the movie, as it is very long, but that might be a good way to get them interested in exploring the world of Anne. This was the book that started it all. This was the book that really truly captured me. I remember reading this book in fourth grade and just falling in love with it. 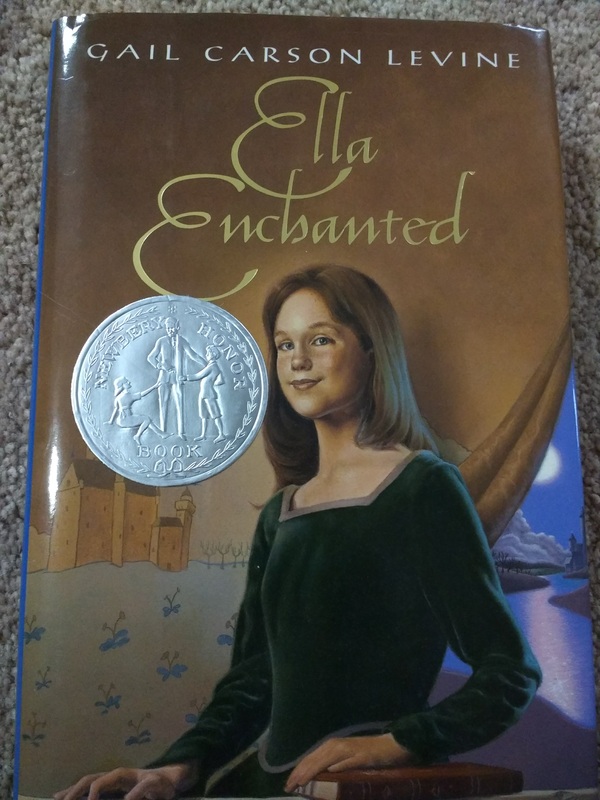 Ella Enchanted is a great introduction to the world of fairy tale adaptations. I didn’t realize what it was until I was basically at the end of the book, but that just made the connection all the better. 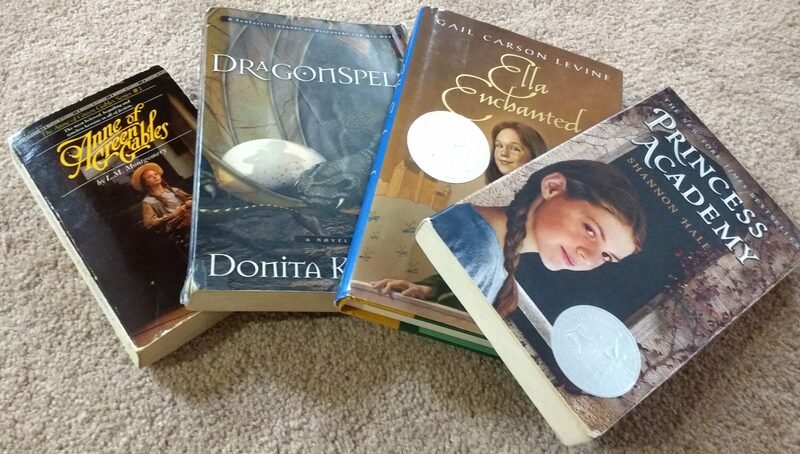 Every young girl should start with Ella Enchanted and then read every other book Gail Carson Levine has written. Seriously, they’re all wonderful and I love all of them, but we’re talking about Ella now. I love this book because it was the first really girl powered story that I’d read. Ella has so much strength and courage, even when she breaks. She deals with her problems the best she can and in the end, it’s her strength that saves her. It’s a great take on the Cinderella story and I love it so much. I really couldn’t decide which is better, so they’re both on the list. 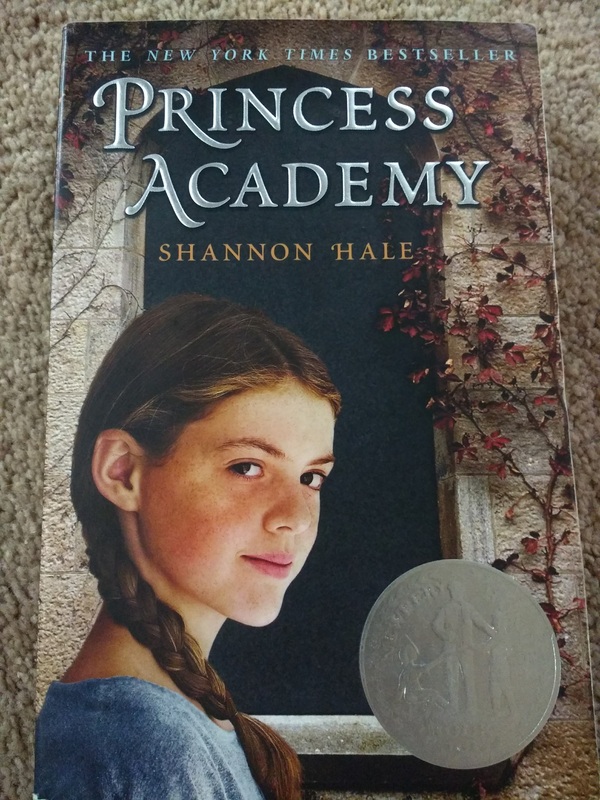 Shannon Hale is another writer of great, strong female protagonists. Here’s my problem with picking books to throw at my eleven-year-old cousin, though, I can’t remember which I read as a child and which I read later that I just really liked. I have a tendency to read juvenile and young adult fiction in general and I’m not sure where the line is anymore between the two. I think Shannon Hale is in her age range, but I’m not totally sure on that. At any rate, it can’t hurt to give her the books and let her read them when she’s ready. Anyway, much like Ella, the girls in Goose Girl and Princess Academy learn to make friends even in rough situations, take advantage of the world around them, and achieve where they weren’t expected to succeed. I love how encouraging and empowering these books are for girls and I’d love to share them with the young people in my life. 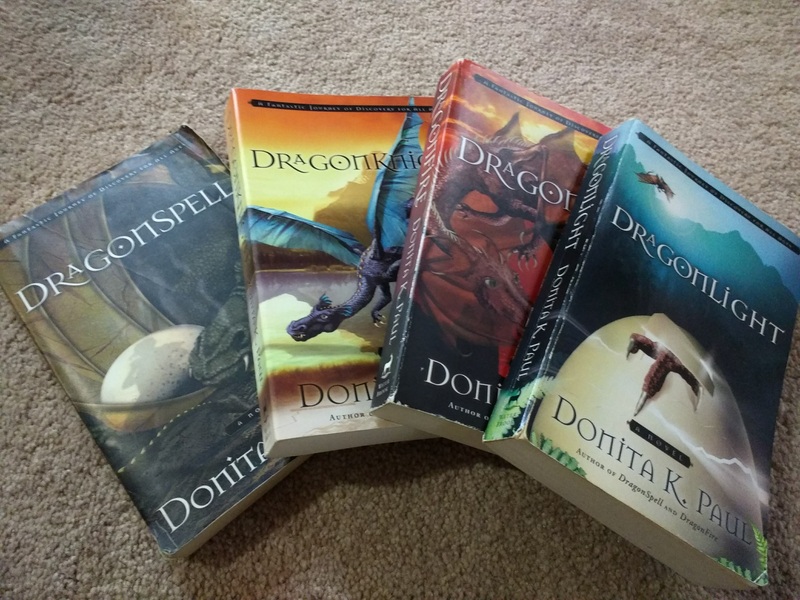 Donita K. Paul is one of my favorite authors of all time and her Dragon Keeper series has had a huge impact on my fantasy writing and my aspirations as a writer. The series is perfect for young readers, starting with a young protagonist who learns and grows and matures as the series goes on. Not only is it a great fantasy series, it also captures and conveys Christian themes beautifully and creatively without being overwhelming. I mean, they’re super overt, but don’t take away from the story at all. They blend perfectly with the plot while still being clear. This is the kind of thing I very much want my young friends and family to be reading. There are lots of great books that I won’t have to expose her to on my own. The Harry Potter series, I’m sure she has had more than enough exposure to already. She’ll get plenty of assigned reading in school, which she may or may not appreciate. There are some books that I would like to share that will just have to wait. Tamora Pierce is definitely a 15-years and up recommendation, but we’ll get there eventually. I have years and years ahead of me to push books on my little cousins and I am very much looking forward to sharing the stories I loved so much with them as they grow. I know they might not take to them the way I did. I’m prepared for the possibility that they aren’t readers like I am, but you never know until you try. So we’ll start with a few and work our way up, and maybe they’ll find something they’re into. If I can help them discover even one other world to get lost in, that will be enough for me.